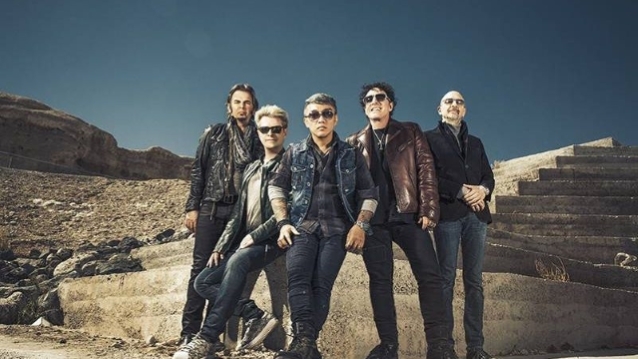 Legendary rockers JOURNEY are taking over the Las Vegas Strip this fall with a limited engagement inside The Colosseum at Caesars Palace October 9 - 26, 2019. Tickets will go on sale to the public Friday, April 19 at 10 a.m. PT. American Express card members can purchase tickets before the general public beginning Tuesday, April 16 at 10 a.m. PT through Thursday, April 18 at 10 p.m. PT. 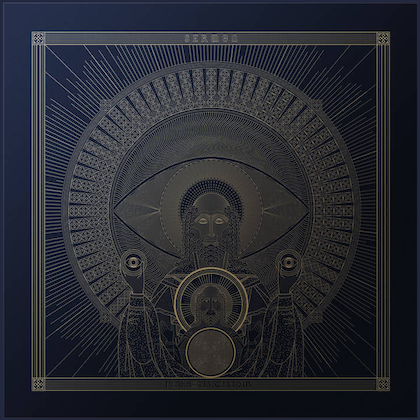 A JourneyMusic.com fan presale will be available starting Wednesday, April 17 at 10 a.m. PT through Thursday, April 18 at 10 p.m. PT. In addition, Caesars Rewards members, Caesars Entertainment's loyalty program, as well as Live Nation, Ticketmaster and SiriusXM customers will have access to a presale running Thursday, April 18 from 10 a.m. PT to 10 p.m. PT. The nine performances going on sale are: October 9, 11, 12, 16, 18, 19, 23, 25 and 26. JOURNEY previously played a nine-show mini-residency in 2017 at the Hard Rock Hotel featuring full performances of its "Escape" and "Frontiers" albums. JOURNEY was inducted into the Rock And Roll Hall Of Fame in 2017. 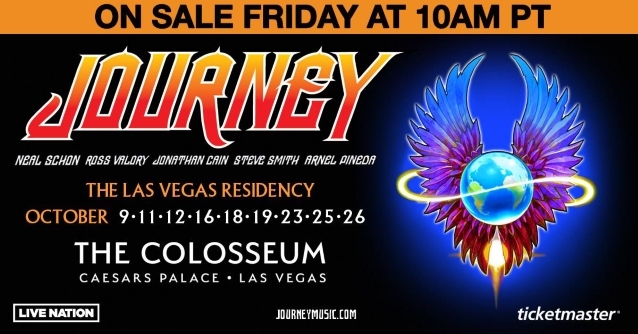 Journey is taking over the Las Vegas Strip this fall with a limited engagement inside The Colosseum at Caesars Palace October 9 – 26, 2019. American Express® Card Members can purchase tickets before the general public beginning Tuesday, April 16 at 10 a.m. PT. Fan presale will be available starting Wednesday, April 17 at 10 a.m. PT. Tickets will go on sale to the public Friday, April 19 at 10 a.m. PT. Click 'Learn More' for a full list of dates & onsale details.